In 1980, a very small but determined group set out to establish a Greek Orthodox Church in the Town of North Hempstead. 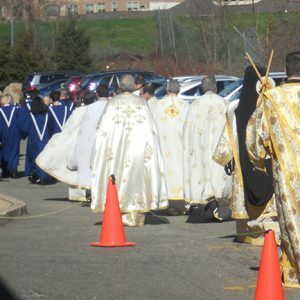 With a great deal of enthusiasm and contributions from the founding members, the Roslyn Heights Church at 108 Warner Avenue was purchased and the first Divine Liturgy was celebrated on February 15, 1981. On March 1, 1984, Fr. 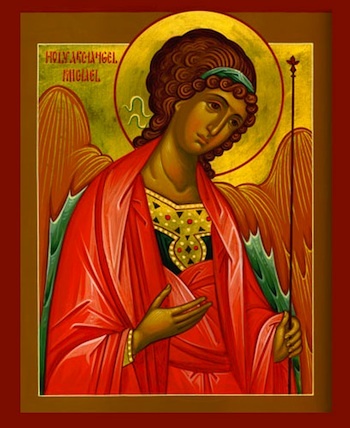 Dennis Strouzas was appointed as the third full time priest at the Archangel Michael Church and has been assisted by Fr. Nikolas Karloutsos since August 2012. 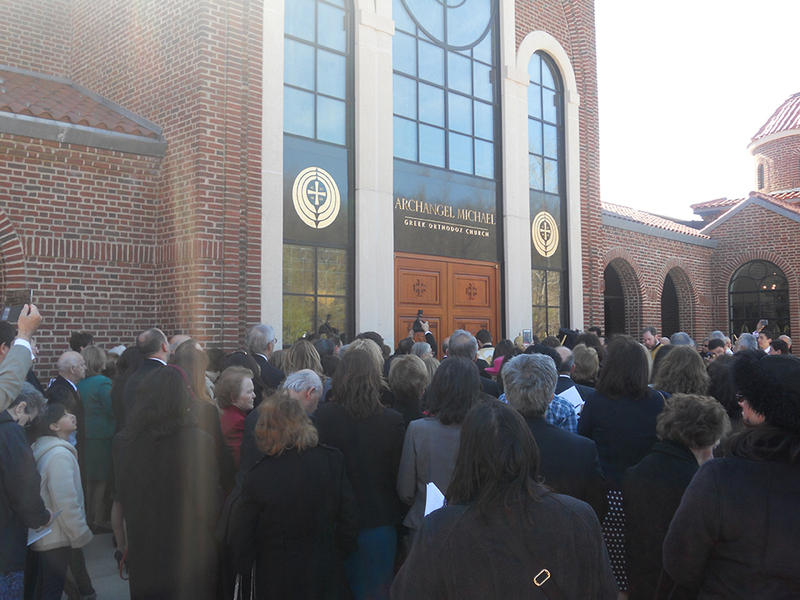 After more than twenty-five years, the Archangel Michael community had outgrown its original home. On August 6, 2004 plans for a new church were realized with the purchase of 100 Fairway Drive in Port Washington. 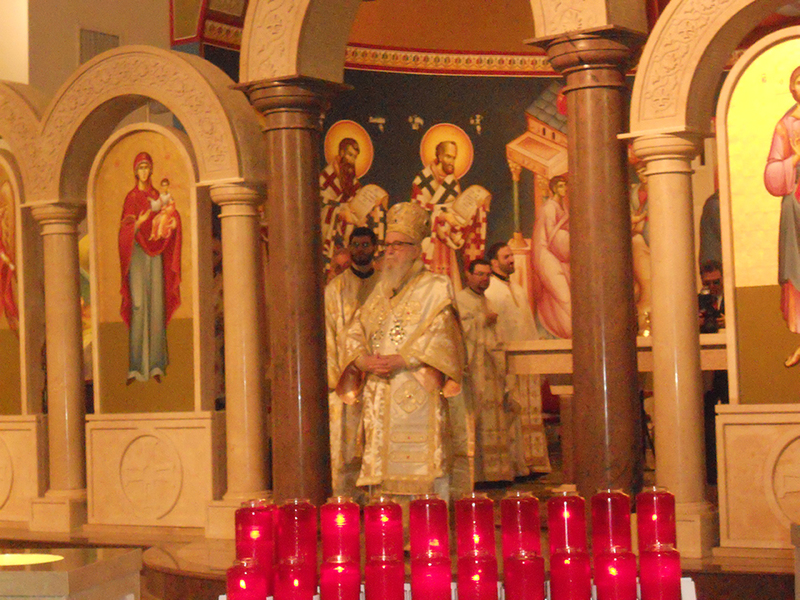 On September 25, 2006, His Eminence Archbishop Demetrios broke ground for the church to be built. 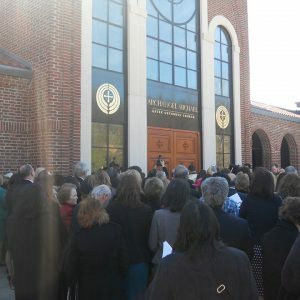 In the spring of 2007, construction began. 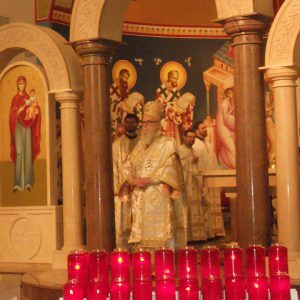 The first Divine Liturgy at the new site was celebrated on October 4, 2009 in the Fellowship Hall, redesigned as our temporary sanctuary. 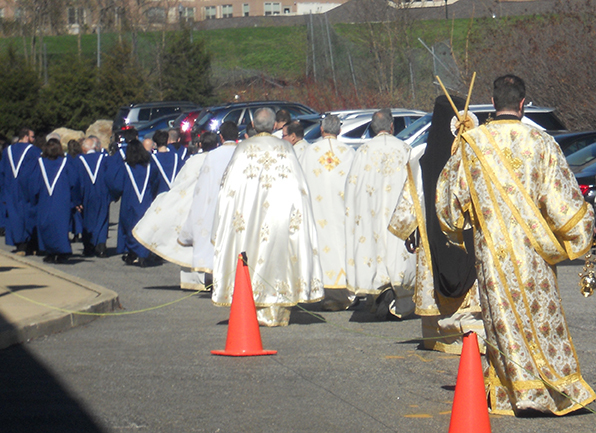 On December 22, 2012 we celebrated the Thyranixia (“Opening of the Doors”) when his Eminence Archbishop Demetrios opened the doors to our sanctuary for the first time and offered a special blessing and service. 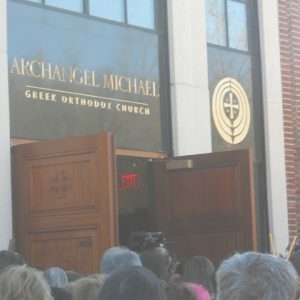 The Archangel Michael Greek Orthodox Church opened its doors to its permanent spiritual home, ushering in a new era for the community, one with great opportunity and commitment from its parish, and boundless possibilities to spread our faith and love in the Lord. 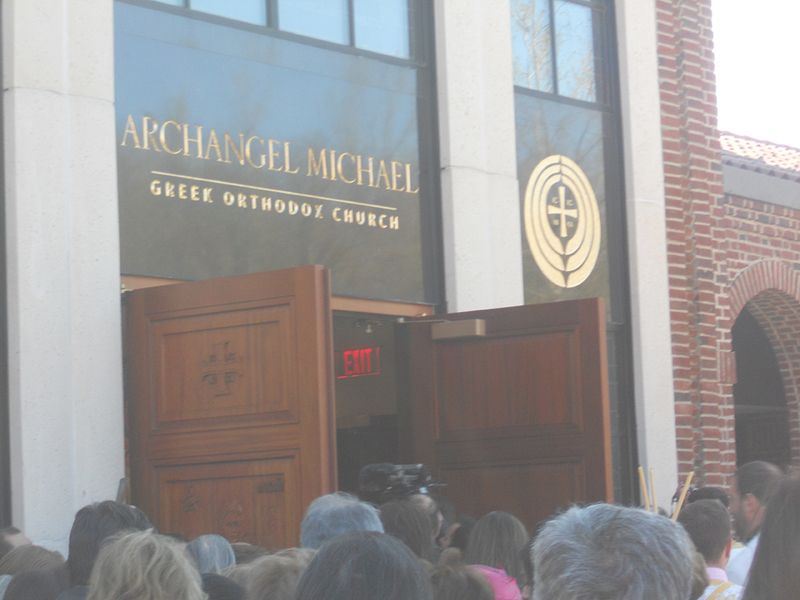 On April 25, 2015, the Archangel Michael Church was Consecrated and Dedicated to God, for eternal use as an Orthodox Christian House of Worship, by His Eminence Archbishop Demetrios.